First impressions count and they don't impress more than when an Entry Statement has been constructed with stone from J.H. Wagner & Sons. The choices are extensive ~ Sandstone, Granite, Basalt, Porphyry with finishes of split, exfoliated, honed and polished plus lots more. Anyone can enter, but only some Make an Entry. Create the unique, continue a theme or recognise the local environment. Entry Statements may be casual and informal or an inspiring modern masterpiece. Whether you use a statement on your own home or as the gateway to a property estate, at J.H. Wagner & Sons we have the stone best suited for the project. Lettering, designs and emblems can be part of the design, or the construction can be made to suit the attachment of these separate pieces. 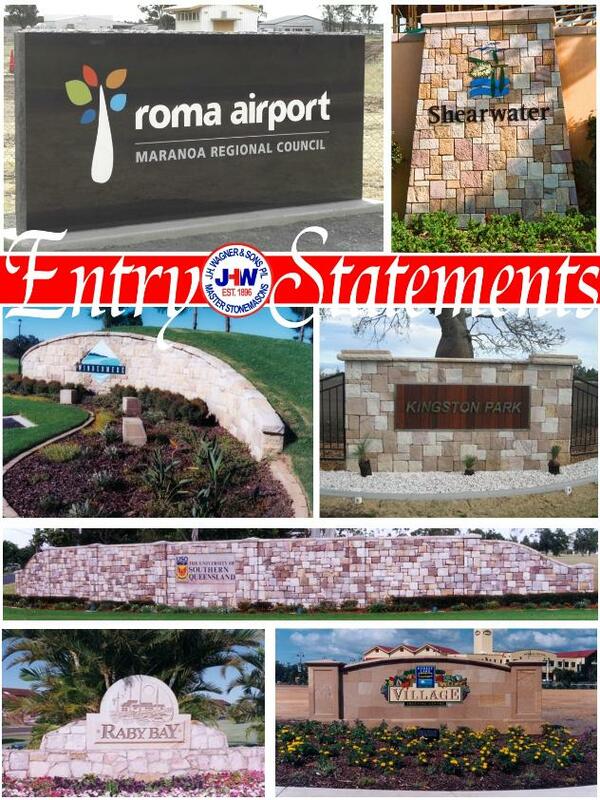 Entry Statements have been proven to add value to any property. 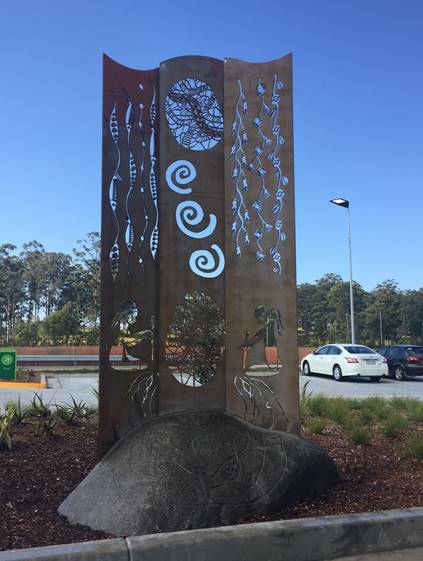 For those intricate details, the ability and skills of JHW's trade stone masons is well complimented by our highly equipped Toowoomba factory which offers 5-axis waterjet cutting, laser etching, abrasive sandblasting, carving, sculpting and artworks combining stone and steel. Stephen Newton Sculpture designed entry statement shown below in steel and granite ~ supply by J.H. Wagner & Sons.